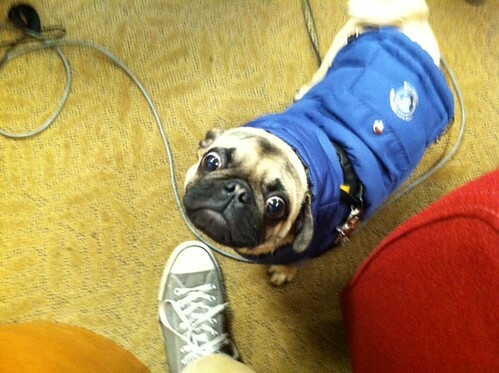 It's true that pugs are near and dear to my heart. I'm so jealous that Jesse's co-worker has one she brings to work everyday. Apparently, one of the pug's favorite things to do is untie Jesse's shoelaces and hide under the couch. Seriously, I can't handle the cuteness.